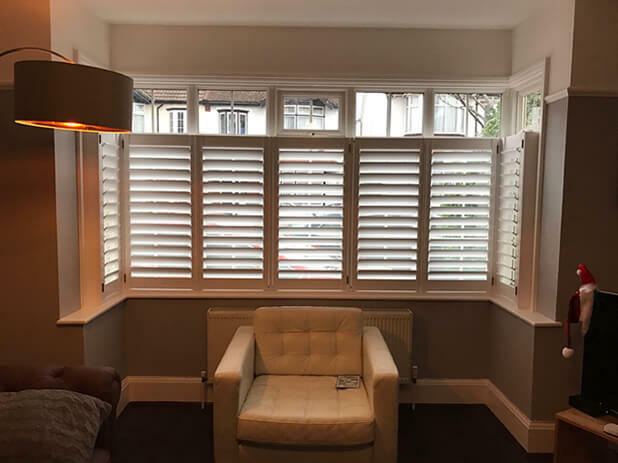 A new customer was looking to have some of our shutters designed and installed to a square bay window in their semidetached 1930’s home located in Enfield, North London. 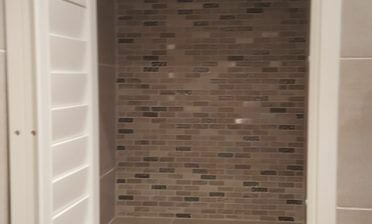 They were looking to increase the amount of light into the room while still being able to maintain privacy at the lower level of the window throughout the day. 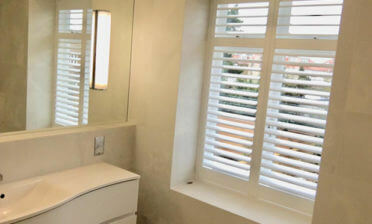 This is where our cafe style shutters become the perfect solution for this kind of requirement. Typically covering around two thirds of the window our cafe style shutters leave the top of the windows completely open to natural light, while the shutters cover the larger bottom area and can be closed, adjusted or fully opened depending on your requirements. Luke and Jim installed the bespoke designed Antigua shutters to this bay window taking great care not to damage or mark the square bay area’s wooden detailing as with all installations we carry out. 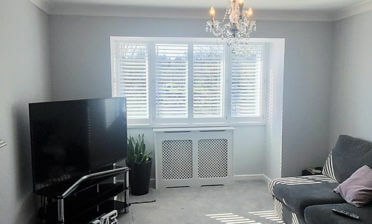 The shutters were installed so that the horizontal opening at the top lined up perfectly with the window divide allowing light to stream in from the top and look correct from the exterior of the property. The lower level panels help to maintain privacy when needed from the footpath and road which is just outside of the window. The shutters were finished in pure white which was picked to match in with the window fascia’s, architraves and window sills. It also creates a lovely contrast against the darker wall paint found in the room.